Madoff, who pleaded guilty but refused to help prosecutors, was sentenced to 150 years in prison. (Bloomberg) — The former Bernard Madoff controller who helped convict ex-colleagues escaped a prison sentence for her role in the $17.5 billion fraud. Enrica Cotellessa-Pitz, 56, was sentenced Tuesday to two years of probation and ordered to perform 250 hours of community service by U.S. District Judge Laura Taylor Swain in Manhattan, who oversaw the only trial tied to the unprecedented Ponzi scheme. Cotellessa-Pitz worked for Madoff’s investment advisory firm for more than three decades and faced as long as 50 years in prison for her role. She wasn’t accused of being aware of the Ponzi scheme, though she admitted aiding the scam by breaking accounting rules. 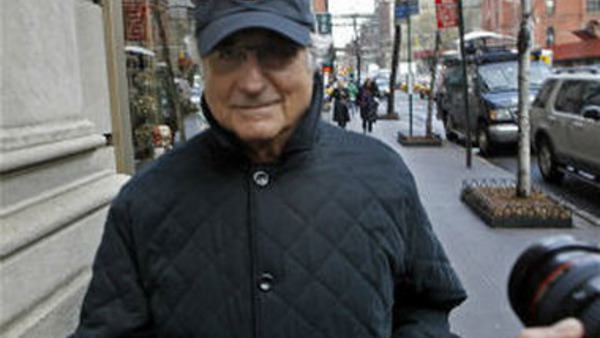 Five of Madoff’s top aides were convicted following the trial in which Cotellessa-Pitz testified. Madoff, who pleaded guilty but refused to help prosecutors, was sentenced to 150 years in prison. Cotellessa-Pitz was the least culpable of all the defendants, and wasn’t accused of bank fraud or securities fraud, her attorney David M. Rody said before the sentence was handed down. She always thought investors’ cash was being used to buy securities, he said. “Not in her wildest dreams did she imagine there was no trading going on in the investment advisory business,” Rody said. Cotellessa-Pitz pleaded guilty in 2011 to four counts, including broker-dealer fraud and filing false reports with regulators. She said she did it at the request of her superiors, even though her gut said it was wrong. She described her poor upbringing in an immigrant Italian community in Queens, and described her shock at the extravagance of the financial industry when she started working at Madoff’s firm when she was still a teenager. About 40 of Cotellessa-Pitz’s family members and friends were in the courtroom, applauding just before she entered the courtroom. Cotellessa-Pitz, earlier barred from working in the financial services industry, now handles insurance claims for a dentist in Queens who was a victim of the fraud, her lawyer said in court filings. Under her forfeiture agreement with the government, she’ll lose almost all of her assets, including a retirement account. Cotellessa-Pitz said she tried to make amends by giving up cash she wasn’t required to forfeit — $50,000 she received from Getty Images by licensing photographs she’d taken at Madoff’s offices and events for decades. It was “blood money,” she said in court. The five top Madoff aides she helped convict claimed federal prosecutors had threatened her to secure a guilty plea and her cooperation. Cotellessa-Pitz worked extensively with the authorities during more than 50 visits with FBI agents, helping them understand thousands of pages of evidence seized from Madoff’s offices, prosecutor Randall Jackson said.